Oh hello friends! Hello Summer! 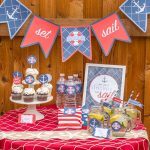 With Memorial Day weekend being the unofficial start to Summer it seemed only right to share a free Summer printable to decorate your home or Summer party. You might have remembered this Stay Cool by the Pool favor tag from last year. 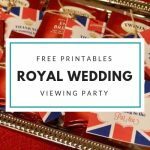 I decided to expand on this fun theme and share an 8×10″ printable that you can use to decorate your home or next Summer gathering. 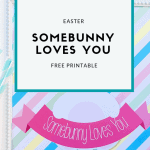 You can download this free Summer printable below, and then head over to Oriental Trading to snag some fun products that will fit perfectly with this theme. I’ve listed a few fun ideas below. No sharks in the pool but this bean bag toss is so cute! 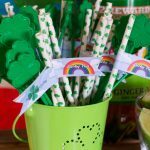 These favor pails are the perfect color scheme! These are a few ideas to get started, but Oriental Trading has a million more products that would be perfect with this theme. The best news? You could snag these goodies for free with a $50 Oriental Trading Gift Card. Enter below!